Is it Friday already? Perfect! That means it's time for our Community Happenings and only one more day until King Puff Cup 14 will take place. Unfortunately, we have to wait until Sunday to watch the broadcast live on Twitch. Two gifts can already be found in the frontiers of the Eternal Woods and the Cursed Valley. Since December 1st, you are able to find the Magma Cannon. This building is capable of hitting ground & air units. Since December 8th, another limited supreme skin waits for you to claim it. Father Frostival Mordar can be unlocked via Expeditions or bought in the in-game shop. 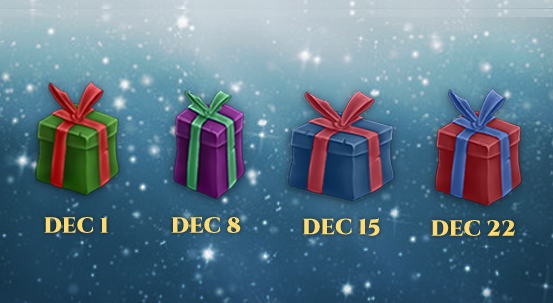 For example, on December 18th, if you have found the Magma Cannon, you must find the gift from phase 2 before you start finding phase 3. The Frostival continues - enter it now, Masters! There are many Volco decks out there and while we got some submitted, only one deck was able to make it. Last week, we had Tengs, Father of Whelp Invasions with his take on an air heavy deck and claims that he is able to beat Videogamer77 with it. The strategy is basically: Play a slow early game, try to hold the bridges as much as you can until Perk 1. You want to be able to trickle in damage via that perk everytime you play a card. Doesn't need to be spammy (unless you're winning). Try to time and alternate your Illusory Cleavers with the real Cleaver to confuse your opponent and make him to waste his answers on the fake Cleavers. 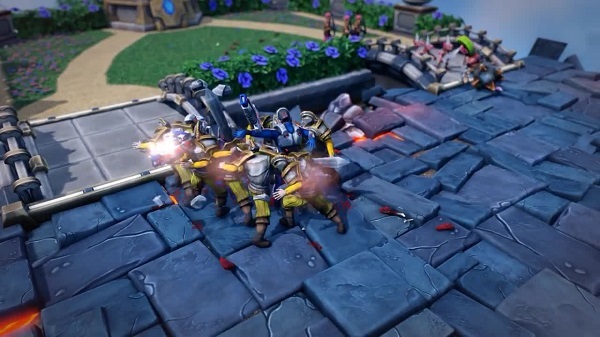 Use Dragon Whelps & Plasma Marines with caution, since they're your only answers to flying units. You could also use Shock Rock + Daggerfall in a pinch to save your face from flying stuff, but they're generally better used on your opponent's side of the board to kill some of his minions and clear the path for your own to get to the face. This deck can be played in many ways, you can be slightly spammy when you win, to accelerate the game with that Perk 1. You can play defensive with your Cleaver & Whelps in case you're running into big stuff such as Golems and Colossi and then get a pretty significant advantage from the Perk 3 Enrage. The now nerfed Demon Warrior + Ghost Turret defensive deck posed a problem if you were unable to win early. Cheese decks such as 3x Rammer + Rampage & Stun Blast have also an advantage over this deck, but fortunately, not that many people play those decks. He also claims to have a win rate of around ~90% in ~50 matches in 1v1. Initially, it was unclear to us if he meant Challenges or 1vs1 Ranked mode, but his replays brought light into the dark. See for yourself! What can we say? Thanks Zgriptor, Flavour of the Month Player. There are many Volco decks out there, but this one was a little different. On first sight, we spotted the link between this deck and Tengs' approach and it seems like Videogamer77 will have a hard time with these Whelps. Maybe someone wants to help him out with a Dragon Whelp Counter video? 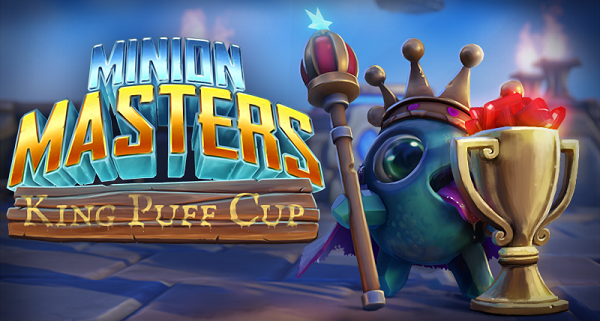 Like mentioned in the beginning of this blog post, it's only one more day until King Puff Cup 14 takes place. The tournament will begin on Saturday, November 16th at 14:00 UTC and you have only until today at 14:00 UTC to sign up and submit your decks! So better hurry up and sign up right now!